Amid a dramatic increase in investment, chip startups see opportunities to change the AI ecosystem. The signal that this situation was changing is the dramatic increase in investments and corporate acquisitions. For example, Intel’s acquisitions of Nervana and Movidius in 2016, followed by a series of announcements related to Google’s Tensor Processing Unit integrated circuit (TPU) v1 in 2017. Although many startup companies have addressed this space for years, investment from VCs and corporations spiked significantly in the last two years compared to the previous 10 years. Discussions at the conference around creating a roadmap for AI chip development included questions on the role and continued viability of Moore’s Law scaling. Opinions ranged from “Moore’s Law is far from dead,” to “Moore’s Law is definitely dead” — a viewpoint mostly held by startups at the conference. Regardless of which side of the fence you’re on, many see disruptive chip startups as playing a key role in delivering faster, more efficient chips for AI workloads. Up to now, general purpose processors like data center CPUs have required most users to optimize their software for a single industry-standardized hardware architecture (ISA). Workloads related to AI, especially for deep learning training, are so compute-intensive that hyperscale users have begun to build their own frameworks to use more streamlined chips like GPUs and specialized purpose-built ICs like the TPU. 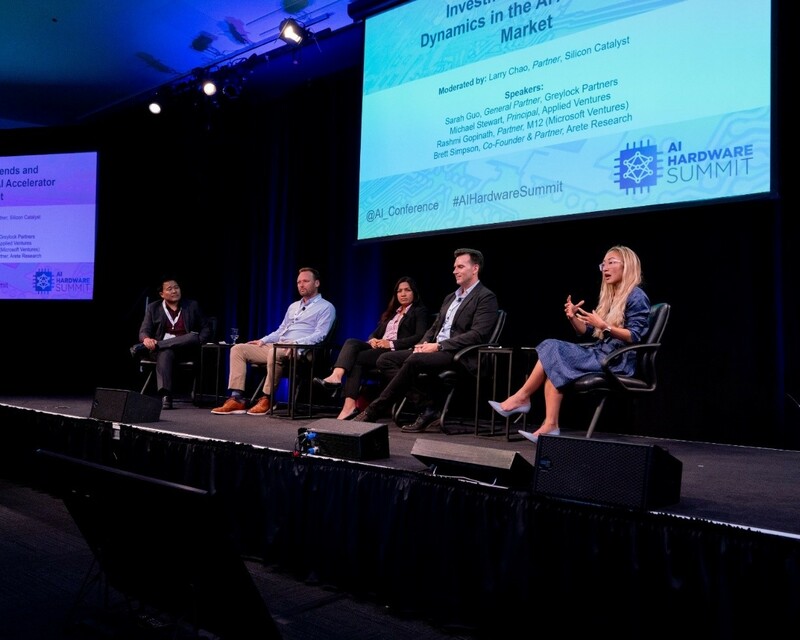 It’s an open question as to whether there will be a new ISA related to AI, or if there will continue to be a “roll your own” approach that we are seeing in the largest users of data center infrastructure. Michael Stewart is an Investment Principal at Applied Ventures. He has more than 12 years of experience in advanced technology development at Applied Materials and Intel. Prior to joining Applied Ventures, he was co-founder of JUSE LLC, a consumer electronics focused startup, and the inventor of the low cost CRAFT Cell for silicon photovoltaics. He is an expert in silicon materials science, surface chemistry and post-CMOS electronics, as well as chemicals and materials for electronics and biotechnology applications. He holds a Ph.D. in chemistry from Purdue University and an MBA from the University of California, Berkeley (Haas School of Business), and is an inventor on over 40 U.S. and world patent applications.